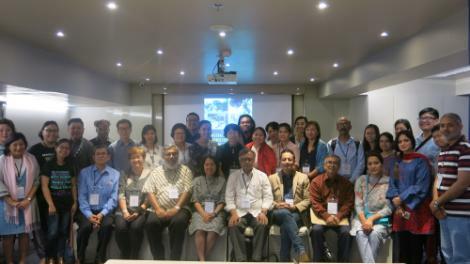 The Asian Solidarity Economy Council (ASEC) hosted a workshop at the Asia Pacific People Forum for Sustainable Development on March 26, 2019 at Bangkok. About 40 CSO leaders from various parts of Asia participated in this two hour discussions. Seven case studies from six countries were presented. (Thailand, Malaysia, Indonesia, India, Bangladesh, Sri Lanka). We recognise that local communities have the potential for self-organising and self-empowering. Social solidarity economy namely community based enterprises have a potential for effective implementation of SDGs at the grassroots level where people, profits, planet can become a key agenda with good governance (collective decision making) and effective values. We discussed issues pertaining to discrimination and inequality faced by the urban poor & informal sector including street vendors, rural poor indigenous & tribal people including forest based communities, ethnic minorities disadvantaged by the caste system (Dalit) and women.